In the competition can take part these Poles, living in Belgium or staying there temporary, and Belgians of Polish decent, who will prove their historical knowledge regarding the liberation from German occupation in the World War II of the following towns: Aalter, Antwerp, Baarle-Hertog, Beerse, Beveren, Gent, Heuvelland, Hooglede, Ieper, Lommel, Lokeren,Maldegem, Merksplas, Meulebeke, Nevele, Pittem, Poperinge, Ravels, Roeselare, Ruiselede, Sint-Gillis-Waas, Sint-Niklaas, Staden, Stekene, Tielt, Willebroek, Wingene, Zonnebeke. UPDATE: In the contest can take part also Belgians interested in Polish history as well as those learning Polish language! One condition is enough. What nationality was General Maczek, who in 1944 liberated one (or more) of the above mentioned towns? 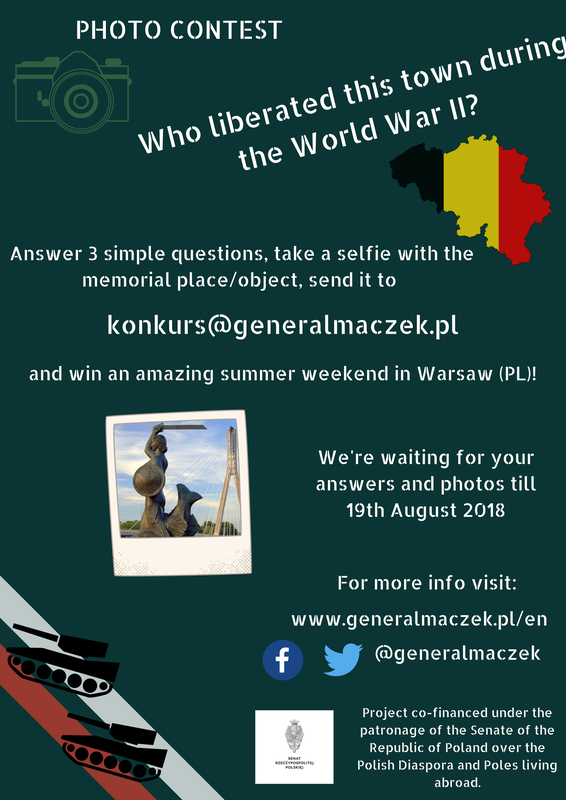 In which of these towns is located a memorial site/object related to General Maczek or to his Armoured Division; give the name of the town and exact address of the memorial site/object? In which town is located the Canadian-Polish Museum, dedicated to soldiers who were commanded by general Maczek? three (3) additional photos (not selfies), in which is visible the memorial site / object (can be the same site/object as on the selfie but in different shots) in one of the above mentioned towns (can be the same town as on the selfie). Competition Jury will judge all 4 photos: their creative, artistic and promotional aspects will be above all taken into consideration. The age of the contester must be stated, too. Deadline for sending the works: 31 August 2018 – midnight. Results will be announced on: 3 September 2018. Weekend in Warsaw, the capital of Poland! The prize includes: free return flight Brussel – Warsaw, food and hotel (2 nights) in Warsaw, exciting visits to the cutting-edge museum Copernicus Science Centre, Museum of Polish Army, cruise on the Vistula River and many other attractions! The sent photos will be constantly published on internet in the form of most-liked pictures Ranking List on the Facebook @generalMaczek). Based on the list the Competition Jury will choose 6 finalists (3 – max. 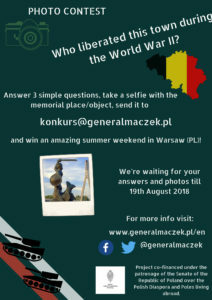 18 year-olds and 3 – over 18-year-olds) and on the 20 August 2018 it will present the results to the public on Facebook, Twitter @generalMaczek and on the official website of the program ”Liberation Route of the 1st Armoured Division of general Maczek”. The laureates will also receive individual notices to their email addresses. 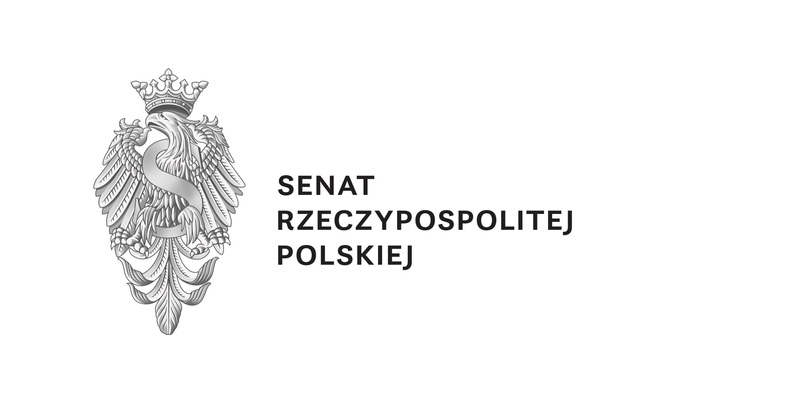 Taking part in the competition (sending answers and photos) is tantamount to the acceptation of the President Ryszard Kaczorowski Fundation for Support of Culture and Arts (organizers of the contest) right to publish them worldwide.